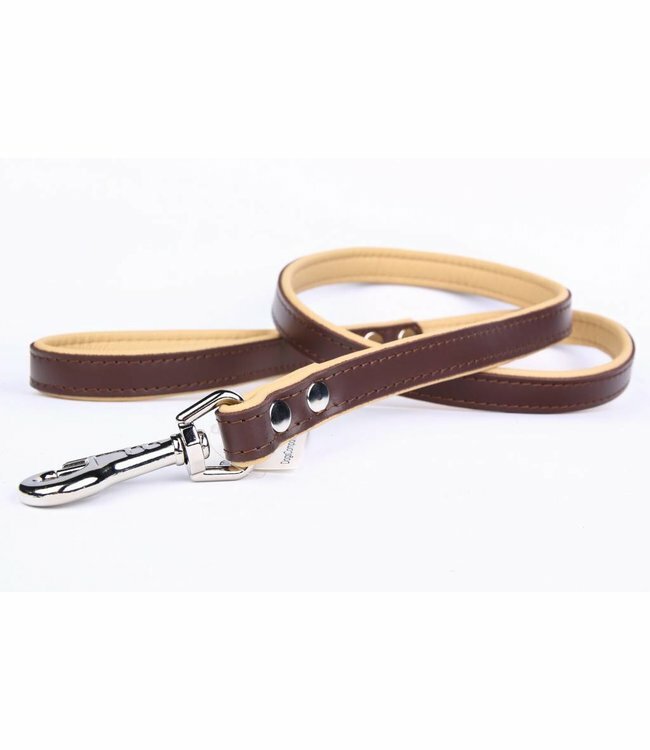 Beautiful leather dog leash measuring 120 cm x 20 mm. Handmade of soft & durable nappa leather from Italy. Beautifully finished. Lies comfortable in the hand. Highest quality handmade leather dog leash.. Made of Italian nappa leather. Length 120 cm. Combines with a leather collar. These belts are characterized by their very nice finish! Because the leashes are handmade we only have a limited amount of them in stock. 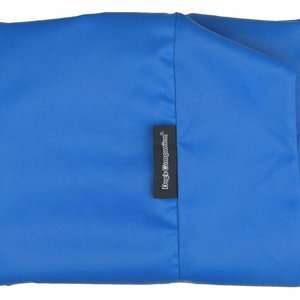 If the item is not in stock, please send us an email with the desired item. The article then has a delivery time of 28 days. The belt lies very comfortably in the hand and feels soft and warm because it is made of nappa leather. For now only available in the colour brown/naturel. The nappa leather used is of the highest quality. Every skin is checked and selected by hand. This way you are guaranteed the best quality leather. Nappa leather has already had an oil treatment for a water repellent effect. Nappa leather is naturally extremely elastic, which means that it dries out and bursts much less quickly than other types of leather. Dog's Companion stands for quality, exclusive design and innovation. 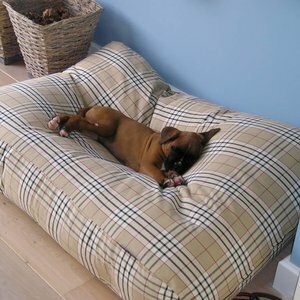 All Dog's Companion products are handmade, working under very strict quality requirements. The most important point of view in the development of their products is the satisfaction of customers and the welfare of their animals. For example, the smallest details ensure that the wearing comfort for the dog is very great and that the coat is optimally protected. A great deal of energy is put into the development of products that perfectly meet the quality requirements of Dog's Companion and the wishes of the customers. Creativity and customer focus are therefore important business activities on a daily basis. In addition to excellent quality, a great deal of attention is also paid to combining quality with fun design, high functionality, optimum safety and durability.